I think that fake succulents are some of the most realistic looking silk/plastic plants. Perhaps the fleshy texture of succulents lends itself well to molded plastic. 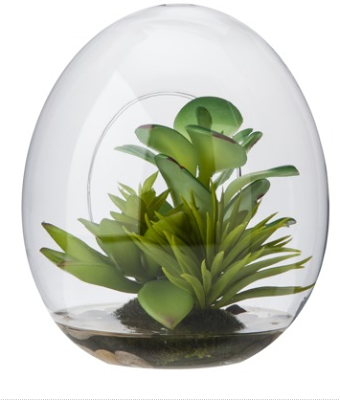 Here's a neat mock terrarium with plastic succulents from Target - for the black-thumbed miniature gardener.